I was recently in licorice and wine pairing contest set up by Sip Better, a wine consulting company out of Minneapolis. (Leslee Miller and I actually went to high school together, and she really does have the ‘dream’ job!) This sounded like a blast to me! How fun, yet, challenging to pair wine with licorice. 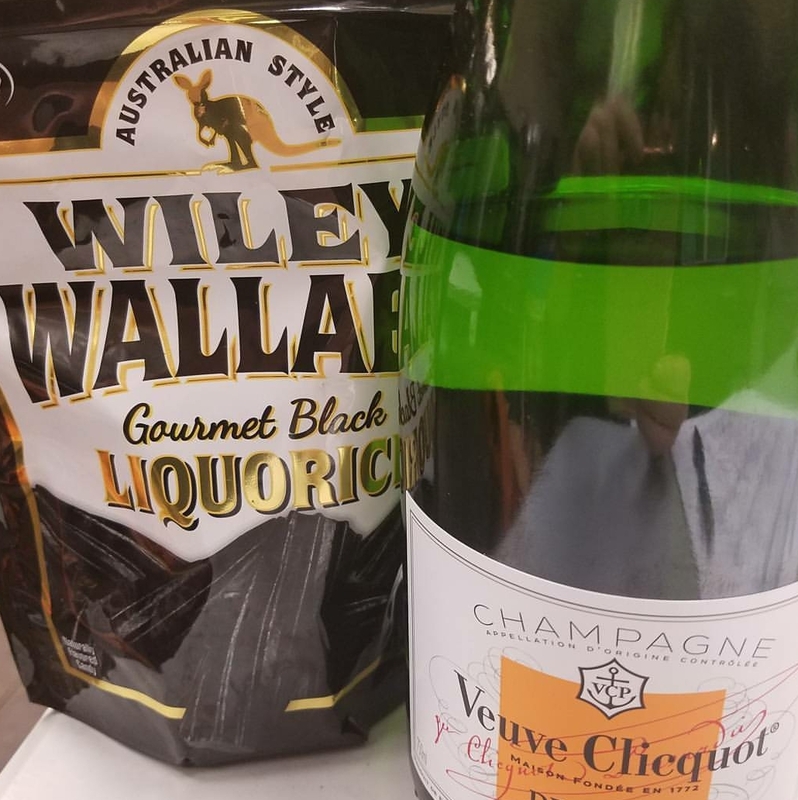 The licorice was Wiley Wallably, black or red, which is absolutely fantastic. If you have not tried this licorice, do so….and run, now, go get some. Yummmmm….. Careful, however, you will eat the whole bag. So taking such a sweet treat and pairing it with wine can be a bit provocative. Honestly who? WHO? eats licorice with wine?! Won’t the dark, spicy, robust flavor of black licorice stomp all out the wine?! And the red, with all its sweet cherry lusciousness, frost the wine over? Ahhhh, yeah…with the wrong wine! Well, I chose the black; I thought that would be less popular with the other participants and not so cloyingly sweet. Yet, I looked exactly at that dark, spice flavor as something that could pair really oh-so-swimmingly with the right wine. And, the sugar/sweetness did play a huge role in this little dance. Did I mention, I LOVE doing this stuff? Food and wine pairing is one of the many pearls that I am stringing along in my new adventure. 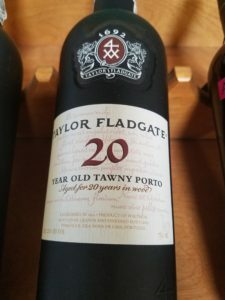 Each pairing I chose with the description of how each would conspire together to make nothing short of an absolutely smashing soiree in your mouth is below. Taste the wine, then taste the licorice…then taste the two together – BAM! POW! KAZAM! No exaggeration. (You may want to cleanse your palate between each tasting – Vermouth is swell for this or just swish with some water.) Oh, and I won the contest. Wahooo! Let the licorice tango begin!! Drinking Veuve Clicquot with Wiley softens the anise like a sweet kiss from Marie herself. This sassy combo has a feminine fizz, while she charms that masculine flex. 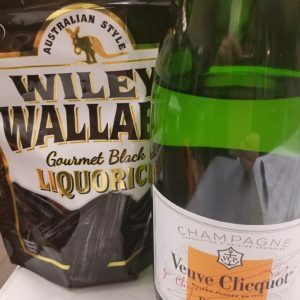 Wiley…meet her majesty, the Veuve. 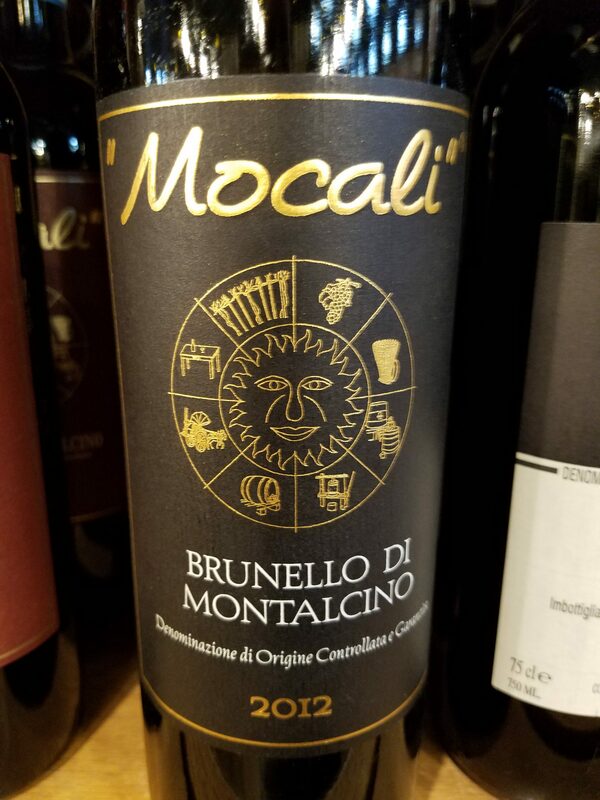 Mocali Brunello Di Montalcino w Wiley Wallaby is a sweet mix of two dominate flavors that blend oh so sweetly to make an absolutely smashing sophisticated party in your mouth. These two powerhouses blend their juicy dark sparks into one big punch. Mocali, your passion is the perfect match for Wiley’s intensity. This third combo is an elegant soiree chillin’ in the Walnut Room with all the big boys. Taylor Fladgate 20-year-old Port’s rich smoky nuttiness mixes w Wiley Wallaby’s command to play a sweetly robust melody perfect for that jazzy swoon. This one makes you lose your tie, kick off your stilettos and melt into the music. Porto, your soft kiss will have Wiley melting with charm. While these wines may be a bit on the pricey side, they are well worth the dance. Quality over quantity, right? Try them on a special occasion like Valentine’s Day, a weekend getaway, an anniversary, your fabulous birthday, a Tuesday dessert, Thursday late afternoon break, Saturday brunch. Do you really have a ‘timeframe’ to treat yourself well? Indulge. Laugh. And buy yourself some flowers while you are at it. Life is short; make your own rules. Enjoy!